The use of sound as a healing force goes wayback into the origin of mankind. In many tribal cultures all over the world sound was used as a ritual form in the arts of healing. The frequencies of sound have healing porperties that is quite part of the culture. Already 40.000 years ago the aboriginal peoples of Australia used the Yedaki to express the dreamtime. We know the instrument as a didgeridoo. It is the hollowed out branch of the eucalyptus tree. This instrument produces very remarkable sounds which we can distinguish as earth and cosmic tones. The combination of these two tones call up wave forms in the brain that we normally find with very experienced yogi. These wave forms give to the body a deep relaxing effect. This state is the basis for the healings in the Dreamtime Healing Concerts which was founded in 1991. Participants are laying on a soft underground covered with a blanket. The healer-players use different shamanic instruments that induce a light trance. 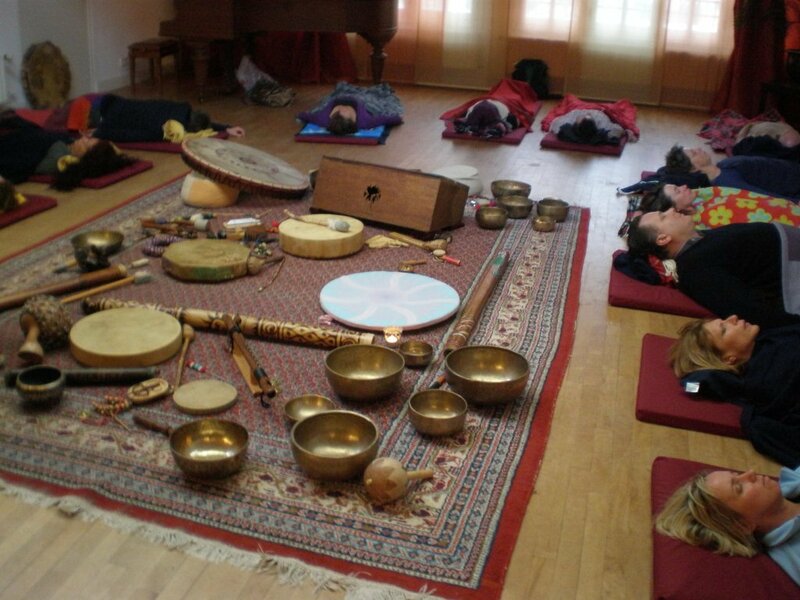 The healing instruments that are used are the didgeridoo’s, the Tibetan bowls, shamanistic drums, rattles, the gong and we also make use of hands-on-healing and voice channeling.